I have some good news after my last message I used the tracking number at the Danish post-office site and saw the package had not been returned. I printed off the page and dashed over to my local post office and low and behold there it was, ready to be returned later today,Phew. I am over the moon with the commision Gareth its exactly what I had hoped for and a perfect fit.Thank you so much and I am sorry for the flap and panic. i am now taking a few photos and adding to my facebook page it deserves to be seen. 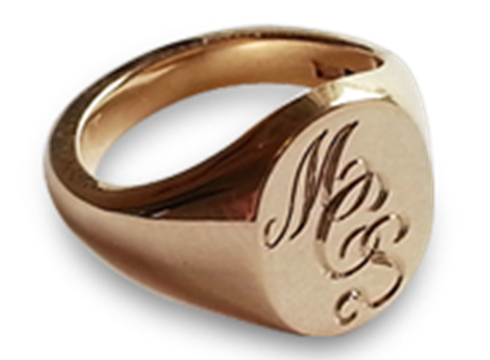 My mother recently used your services and had a ring made for me as a late 30th birthday present. I want to say firstly I am VERY VERY happy with it and love it to bits. Thank you so much! Great job! 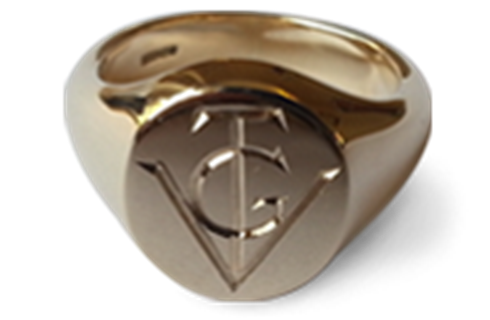 To whom it may concern, About 2 years ago I had a silver signet ring engraved by you guys with the Gordon Crest. I still wear it everyday, and am always receiving compliments about it. 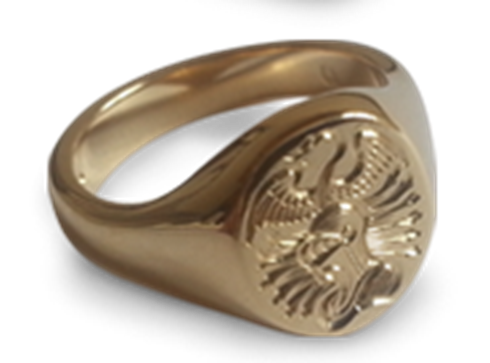 It\'s my Dad\'s 60th Birthday soon, and I want to get him a pair of silver cufflinks with the same crest engraved on them. I was wondering if you could send be a quote to have this done? I live in Australia now, and am happy to pay a delivery fee if it\'s possible to have them sent here? 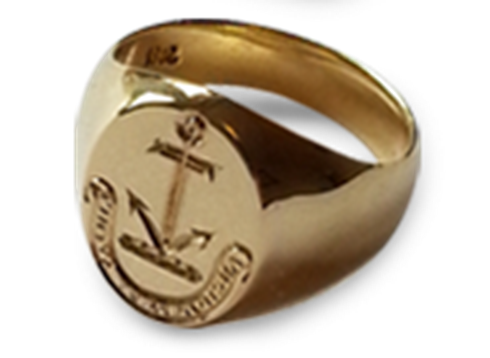 Hi Gareth, I have been remiss in writing to thank you for the wonderful work you did on my son's signet ring. A real work of art and my son is thrilled with it. Opened ring this morning and it is perfect and exceeded expectations. It was transacted in a way that does not provide for feedback but I am very happy with communication and outcome. Excellent work, high quality, thanks! Gary, just got the ring. Absolutely fantastic. My son is so pleased. 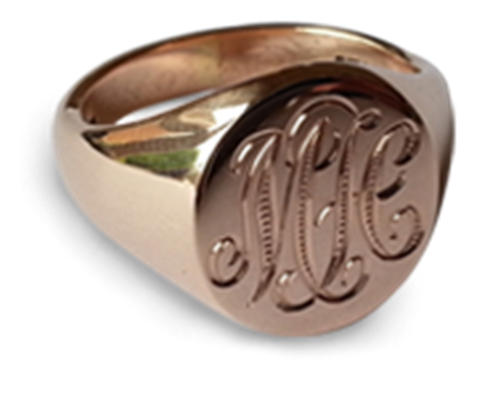 Hello Carrie, The ring has arrived and is fabulous! Thank you so much for your help. Just got the cufflinks now. They are really beautiful. Many thanks, Gareth, for your excellent work. All arrived safe , am told it will fit just fine so we are totally delighted, thank you. Size v is my size I think can always get it adjusted! Can u put Carter on it under the crest and then on the inside of the ring 30/11/22 - 8/2/13 am going to pay now. 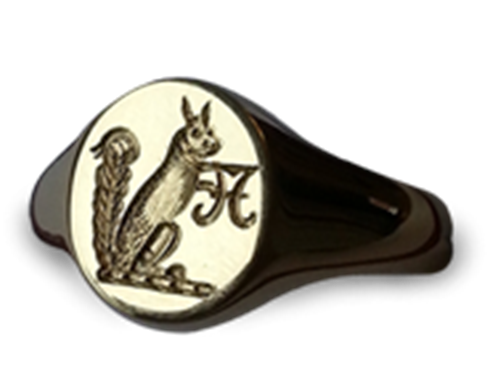 The ring is beautiful - really well engraved and we are totally delighted! The cheque will be sent 1st class tomorrow. Ring arrived in the post today. Very pleased, thanks so much for pulling out the stops and getting it done one a tight timetable. Much appreciated.